Come see this beautiful 3 bedroom 2 bathroom cape on a quiet Beechwood cul-de-sac. Over the last few years the home has been updated throughout. This home boasts gorgeous hardwood floors. The custom built kitchen has granite counter tops, stainless steel appliances and cherry cabinets. The kitchen flows into the dining room and living room with an open concept feel. Enjoy summer evenings on your back deck and the three season porch right off the kitchen. There are two bedrooms and a full bathroom on the first floor, as well as laundry.The upstairs has a master suite that includes a full bathroom, as well as office/nursey and a walk in closet. 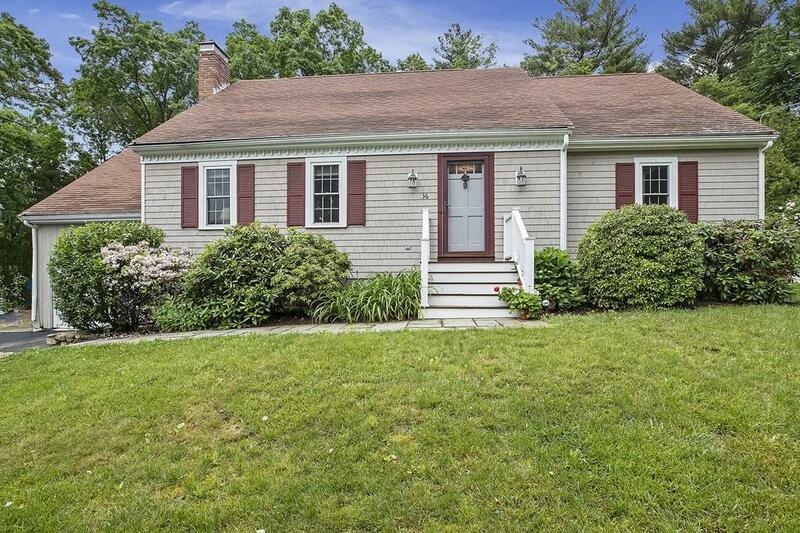 The finished basement has new vinyl plank flooring and a fireplace and would be a great hangout room or family room.There is also a workshop area in the unfinished section of the basement.This home is just minutes from the Beechwood Ball Field and Wampatuck State park. A brand new septic system was installed this spring. Get in before the summer!